With the invention of online casinos, roulette is a popular pastime for players of all sorts. While some players believe that the game is purely luck-based, others enjoy using strategies in an attempt to increase their winnings. With so many techniques out there, it’s hard to know which ones really work. 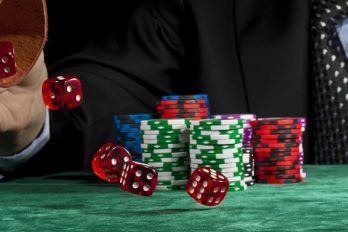 In this article, we explore some of the most successful roulette strategies of all time. When it comes to roulette strategies, the D’Alembert is a firm favourite. Unlike other techniques, this strategy minimises the risk of losing large amounts of cash. This makes the D’Alembert one of the safest strategies for beginners. As the technique is an even chance betting system, it can be used on Red-Black, Odd-Even, and 1-18/19-36. To use this strategy, you must first choose a starting bet. Throughout the game, bets must be increased by one after each loss and decreased by one after each win. If you stick to the strategy, you will be in profit once you have won as many times as you have lost. Once you’ve got your head around the D’Alembert, learning the Reverse D’Alembert will take no time at all. In the original strategy, you increase your bets by one after each loss and decrease them following a win. In the Reverse D’Alembert, you simply do the opposite! After each loss, you decrease your bet by one, and after each win, you increase it. While the Reverse D’Alembert has the potential to be a successful strategy, be wary of using the technique when you’re on a losing streak. Another successful roulette strategy is the Fibonacci. If you’re an avid gambler, you may already be familiar with this technique. Like the D’Alembert, the Fibonacci is a fairly safe strategy for beginners. Unlike other techniques, it doesn’t involve putting large sums of cash on the line. Better still, the technique gives players the potential to win big. When the Fibonacci first emerged, the technique wasn’t intended to be used in Roulette. Instead, it was designed as a mathematical theory. In the Fibonacci, you begin with a set number. Next, you add the two previous numbers together to give you the next number in the sequence. After each loss, you move forward one number. When using the Fibonacci, the safest number to start at is one. However, the technique works the same no matter which number you choose to start with. As long as you are adding the two previous numbers together, the strategy should help you to increase your winnings. If you’re familiar with the Fibonacci, the Reverse Fibonacci will also be easy to learn. In the original strategy, players are advised to move forward one number after a loss. In the Reverse Fibonacci, you need to move forward after a win. Today, many gamblers believe that this strategy is one of the most effective ways to win big. The final strategy we are discussing today is a little broader than the previous four. Referred to as ‘covering the table’, there are a few different ways that this technique can be used. In roulette, many players believe that covering a higher percentage of the table will increase your chances of getting a win. If the entire table is covered, though, it becomes almost impossible to win more than you lose. With this in mind, many gamblers prefer to cover ‘most’ of the table, instead of the whole thing. The odds of the game make this strategy popular for those hoping to increase their winnings. To cover ‘most’ of the table, there are a variety of different techniques you can use. Below, we explore some of the most popular. When looking to cover ‘most’ of the table, some gamblers chose to bet on 35 numbers. Although this strategy is slightly risky, it boasts the potential to win big if luck is on your side. The most common bet placed when using this strategy is £2. If you place £2 on 35 different numbers, you are initially splashing out £70. While you are almost guaranteed to win more than you lose, that doesn’t necessarily mean you’ll make a profit. For each win, you’ll receive an additional £2, but for each win, you’ll lose £70. Another popular strategy is to bet on 17 splits. This technique is similar to betting on 35 numbers, though you’re only spending half the initial cost. In roulette, a split can be described as a bet placed between 2 numbers. Betting on 17 splits allows you to cover 34 different numbers – almost as many as the strategy above. Betting on a 5 Double Streets is another popular way to cover ‘most’ of the table. In Roulette, a Double Street is also referred to as a Line. Betting on 5 Double Streets will allow you to cover 30 different numbers. 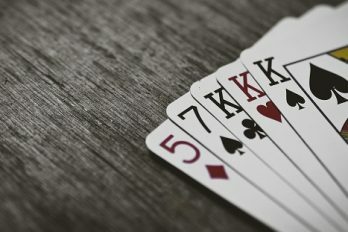 Whether you’re an experienced roulette gambler or you’re just getting started, the techniques above can help you to increase your winnings. While some players believe that the game is purely luck based, there is no harm in giving the strategies a go. After all, what have you got to lose? Although roulette strategies were first used in brick-and-mortar casinos, most of them can now be used online, too. As online casinos skyrocket in popularity, new websites seem to be appearing every day. While this gives you a wide range of options, it can be difficult to decide which one to play at. Thankfully, we can help you decide. 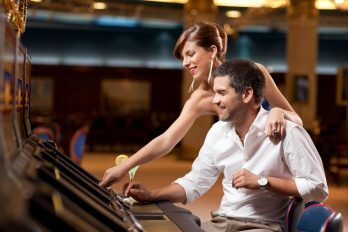 At casinobet.com, we review a wide range of casinos and games so that we can give you an insight on the best ones to go for. As always, it’s important to take into account the addictive nature of gambling. Make sure to consider your finial situation before using a land-based or online casino.